With the Portland-Milwaukie Light Rail Transit Project – the future MAX Orange Line – substantially complete, TriMet today announced that the project is not only on schedule, but also millions under budget. The overall $1.49 billion project is under budget in the range of $10 million to $40 million, and the Federal Transit Administration will keep its proportional contribution towards the project of 50 percent. This leaves local savings likely in the range of $5 million to $20 million. 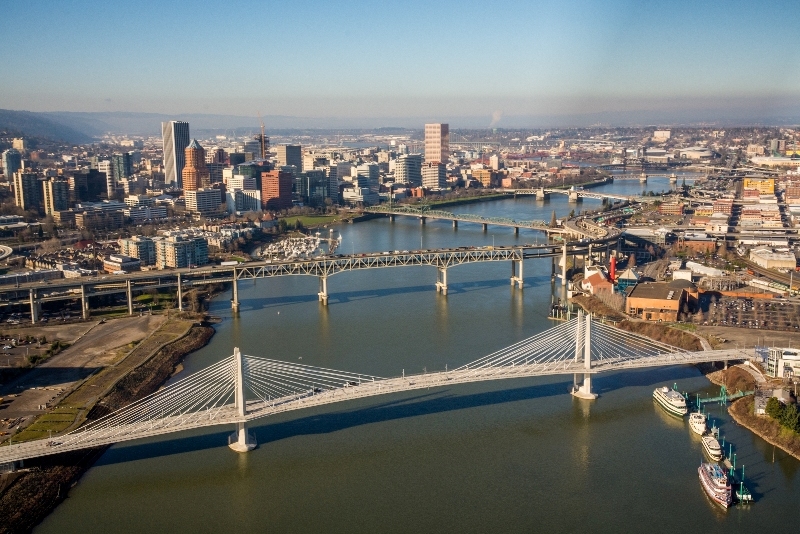 “Not only are we improving our transit system with this project, we’re delivering it on time and under budget,” said TriMet General Manager Neil McFarlane. The MAX Orange Line project, including Tilikum Crossing, Bridge of the People, is on time and millions under budget. The MAX Orange Line will open on schedule on Saturday, Sept. 12, 2015, and while construction is 95 percent complete, the federal funding process continues through 2019. Until the federal appropriations process is complete, the project will continue to incur costs, which is why the savings is given as a range. McFarlane said much of the savings is due to historic low interest rates. He said it’s too early to speculate on possible uses of the final savings until the final close out of the grant in 2019. What happens to the savings? With the help of U.S. 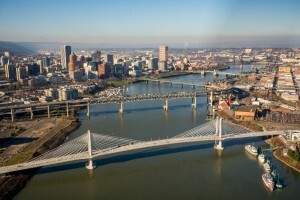 Senator Jeff Merkley, the Federal Transit Administration granted permission for TriMet to add back some previously approved project elements that were eliminated during the final negotiation in 2011 of the full funding grant agreement. The FTA will fund 50 percent of these items, which will improve our winter operations with additional heated switches and ice cap installed on top of the overhead power wire. It also includes adding shelters at MAX stations along the Orange Line. These restored elements cost about $3.6 million. TriMet cannot add new project elements that are outside the project construction scope, which was determined by the Environmental Impact process and agreed to by the project’s local governmental partners. The exact savings will not be known until Federal appropriations conclude, currently estimated to occur in 2019. Until then, the project will incur costs, primarily the interest on interim financing needed to make the longer federal funding schedule match up with a shorter construction schedule. Final accounting of local savings will depend on interest rates and the level of annual Federal appropriations over the next three to four years. Any refunds to local partners will be guided by Intergovernmental Agreements for project funding. In addition, any bond proceeds could only be used for purposes spelled out in the bond documents. In TriMet’s case the bond funds can only be used on capital, not operations. Orange Line opens in 168 days! A MAX clearance test has to be completed on the south end of the project to verify the train’s interface with the track, electrical switches, wayside equipment and the Overhead Catenary System.